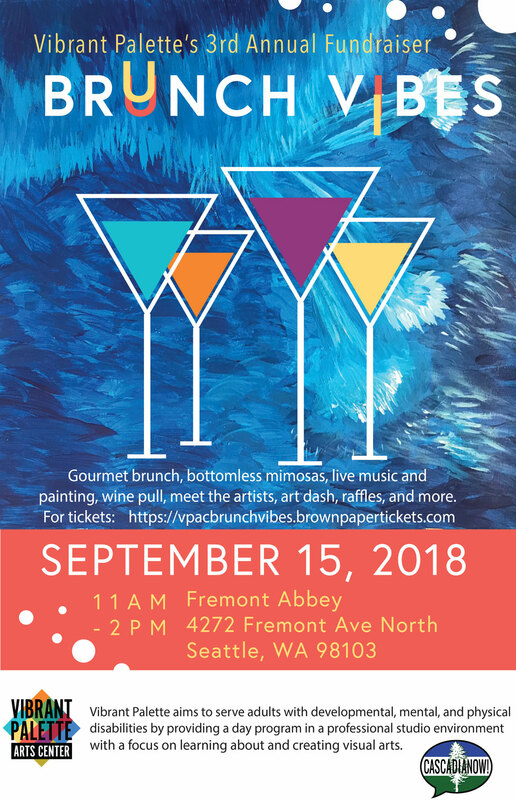 Brunch Vibes, Vibrant Palette’s Third Annual Fundraiser! Join Vibrant Palette Arts Center (VPAC), a project of CascadiaNow!, for their third annual fundraiser. This year’s event is a little bit different! Join us for BRUNCH VIBES, an interactive food, fun and art experience! The day will include a gourmet brunch, drinks, live paintings, live music, an awesome raffle, wine pull, art dash and more!